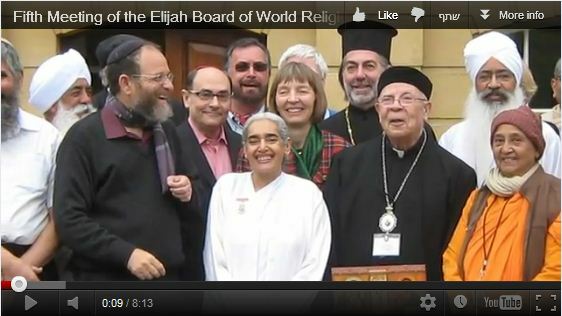 We at Elijah are feeling a great sense of satisfaction, having held the fifth meeting of the august body of international religious leaders who come together under Elijah’s auspices. The meeting, held from March 18th to 22nd was a time for drawing inspiration, deepening the bonds of friendship and seeking a way to impact the world as a group. The present issue of Wisdom seeks to share our inspiration and enthusiasm with our readers. 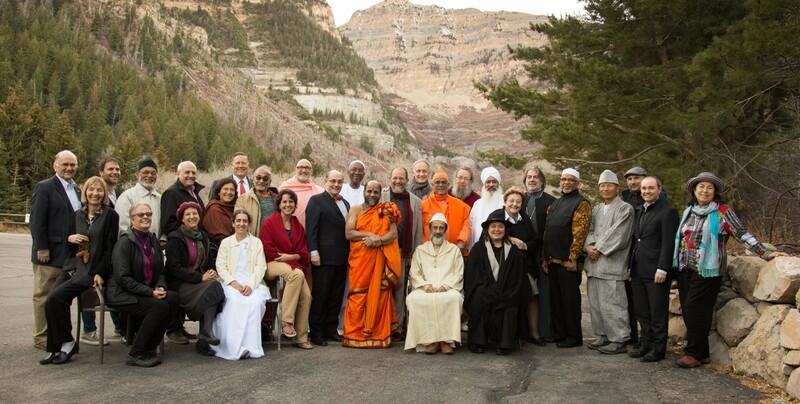 60 prominent leaders and scholars, representing six world religions, came together for this meeting. We were privileged to enjoy the beauty of the surroundings and the spiritual atmosphere created by the Brahma Kumaris as their Global Retreat Centre. Following the custom of the Brahma Kumaris, every hour, the entire complex stops for one minute as evocative music is played and all present observe silence. Introducing this moment of silence into our proceedings had a remarkable effect. Sister Jayanti, the BK representative to the Elijah Board of World Religious Leaders, provided, in her welcome speech, the deeper reasoning behind this practice – the need to find personal peace from within as one embarks on the quest to make peace with those around. The theme of the meeting, ‘Friendship Across Religions’, was prepared in advance by a think tank of the Elijah Interfaith Academy. Discussions explored the nature of friendship as understood in the different religions, obstacles to interreligious friendship, the promises it holds and concrete steps that our leaders and their communities might take to implement this ideal in their lives. The present issue of Wisdom is accompanied by a first offering of reflections by our leaders on the theme of interreligious friendship. A selection of quotes is found in the Sharing Wisdom section below. From the opening session, one thing that was palpable to a first-time observer was the deep bonds of friendship felt between long-time members of the Board. This has been one of the achievements of this forum, since its creation in 2003, and the experience of friendship provided the impetus for theoretical reflections on interfaith friendship, its challenges, limitations and potential. One of the dimensions in which our meeting can be measured is the deepening of bonds of friendship. Participants reported that in this respect this was probably the most successful meeting our forum has held to date. On the afternoon of our second day, participants were treated to a tour of the beautiful city of Oxford before conducting a ‘town hall meeting’ with members of the interfaith community of the city. The meeting with the community took place in the Divinity School of Oxford, (which was apparently used as the infirmary for the Harry Potter films.) 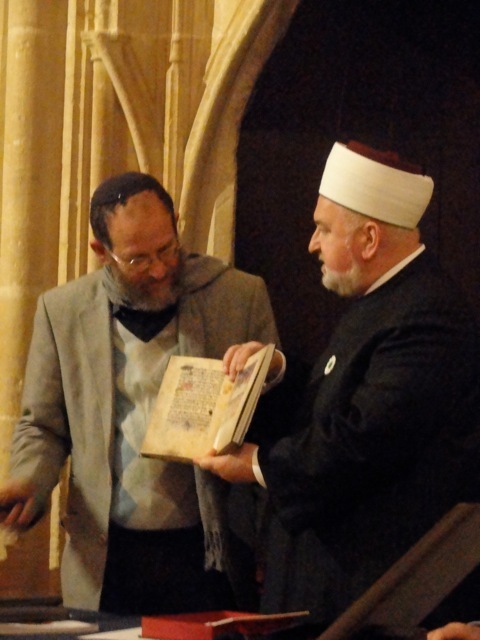 A highlight was the presentation of a copy of the famous Sarajevo Haggadah by Mustafa Ceric, the Grand Mufti of Bosnia to Alon Goshen-Gottstein. The haggada had been preserved from destruction from the Nazis by his grandfather. In presenting it, the Mufti made the appeal that we all respect and protect each others’ scriptures, come what may. At the community meeting, Oxford residents spoke with great pride of their accomplishment at having an annual interfaith walk, from Synagogue to Mosque to Church, which attracts hundreds of people. 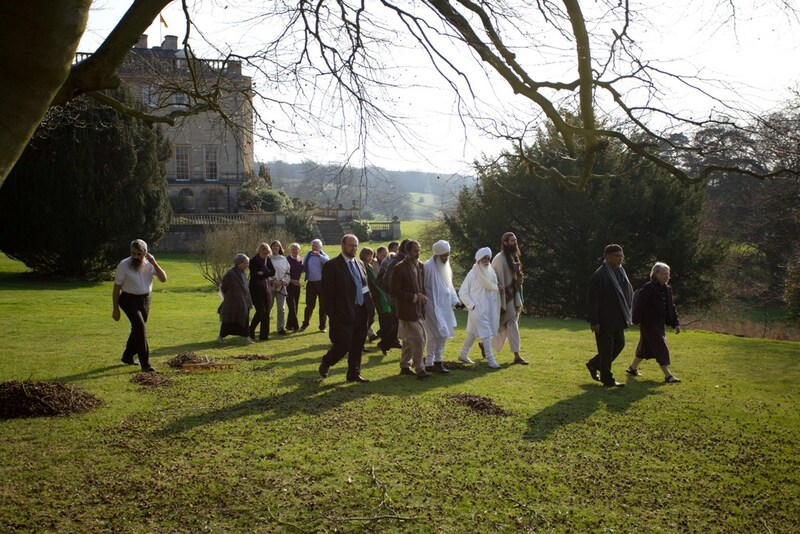 During one of the small group sessions, one small group decided that the best thing to do would be to go on a small interreligious walk of their own around the magnificent grounds. This initiative was repeated by the entire group each day – walking together side-by-side, talking heart to heart. One of the goals of the meeting was to identify ways in which leaders could nurture interreligious friendship in their communities and continue the work of the Elijah Board of Leaders on an ongoing basis. The meeting led to a clear development plan, that we are now in the process of implementing. One story is worth telling. When participants were asked how they could implement the lessons of the meeting in their communities, we discovered that an important Muslim religious leader from Sudan and an Anglican leader with Sudanese connections had become friends. This friendship will form the basis of their common attempt to bring their respective communities together and to work for deepening peace in Sudan. After three intensive days of deliberation, the leaders headed off to London for a meeting with bankers and business leaders to discuss the role of religion in economic development and the possibilities of partnerships between religions and business. A new forum of religious and business leaders has been launched and we look forward to practical collaboration and will keep our readers posted. The closing event of the meeting was a reception at the home of Chief Rabbi Jonathan Sacks. In some ways, the discussion there took us full circle. The meeting began by asking if there was a difference between interreligious friendship and other friendships and whether we could distinguish something that might be called ‘spiritual friendship’. The Chief Rabbi spoke of the need to befriend those who are not religious. He reminded participants that people of faith (religious people) have a bond and an orientation towards one another. The greatest challenge may well be extending the depth and breadth of friendships to those from whom they feel most distance – the secular community. 1. What does Interreligious Friendship mean to you? 2. How do you practise Interreligious Friendship? 3. What messages and practices of Interreligious Friendship can you take back from this meeting to your community? I now see the invitation to come to this conference as a sign of interreligious friendship, and I’m grateful to have been here. The meta-frame take away is that all of us gathered here under the banner of Elijah and all of our efforts at home are truly part of an international multifaith movement that can change the world. For all of us toiling in our separate “vineyards,” it is essential to reframe our activities through touching others who feel the same. So, this conference has allowed us to experience a sense of belonging to each other as “friends,” who belong to God—members of the household of God. Our interfaith efforts are the attempts to make the world “homespace,” to reclaim God’s good creation for God. For me to be together in this way is to glimpse the realm of God. It has been particularly valuable to extend my friendship broadly to include Sikhs, Muslims, Buddhists, Hindus from around the world since much of my work at home is more focused on Abrahamic traditions. Interreligious friendship is not abstract or theoretical but made manifest through story. The stories of interreligious friendship—Sikhs feeding Hindus, religious leaders in Sweden interpreting Halal dietary laws or Jewish circumcision, an Imam in India speaking about other religious traditions in his sermons thereby giving space to the other in his sacred space; the story of how fasting was the motif that enhanced and renewed the faith of two men—these are the ways we see God’s spirit working through us in the world. Could it be that we are on the cusp of a new religious age where God is revealing GodSelf in a new way, particularly through interfaith friendships writ small and large, as religious leaders and people take one another’s part, work on one another’s behalf in re-creating/re-claiming public/civic space for God’s purposes of love, understanding and justice? Which gets me to the insight that was a thread through our small group the whole time: Do the religions need each other? Are we sufficient unto ourselves (as religious groups/religious individuals) or do we need the others to truly know God. In Christianity, God’s love comes to us through God’s grace as gift given, but others are often the vehicles or means of God’s grace and love. As Svrivatsa said of his relationship with Muslims and all they had contributed to the aesthetic/beauty of his own celebration rituals: “This has benefitted me in the whole of my being. It has made me aesthetically complete.” And, this is my experience too, right down to my own reconnection to the church after a profound atheist period in my youth, when the religious other in the form of a Benedictine priest in Germany reconnected me to my faith through giving me access to the Eucharist, through the beauty of worship. It is why to this day I am profoundly moved by the worship and prayer of other traditions—I can access God as truly or sometimes even more so through the strangeness of another’s worship space/ritual as my own. From the perspective of the Jewish ethos, and I believe this is also true of the Muslim ethos, the language of obligations and responsibilities towards the other, just as towards all of God’s creation, precedes talk about love. But since I recently entered into an extended discourse about the concept of ‘loving’ God with my students and love was a central motif at the Oxford conference, I want to focus my reflection on the last few days around that concept. The magnificent landscape, the blossoming flowers and the wildlife, and the human creativity evident in the marvellous architecture of the place where we gathered for learning, provided an atmosphere where one had new points of contact for the heart on its journey towards love of the Creator. Also, the diverse human landscape expands the heart and, more than that, provides news ways of fulfilling the commandment of loving God [through loving those created in the image of God]. A conversation between a person committed to Torah and someone deeply committed to another faith is very special. The religious language of a person committed to Torah is enriched a thousand times, exponentially, rich in multiple colors. A meeting like this provides insights that cannot be gleaned from even the most poetic of writings. The person who stands before you is laden with his religious experiences in their range of colours that are far beyond any narrow definitions you can get from scholars of religion or experts of a particular culture. He is full of appreciation for the Creator, even if he uses different language to express that. He is also full of appreciation for his fellow human, created in the Divine image, and he brings ethical dimensions into efforts to improve the lot of humanity and to spread the word of God. The recognition and appreciation he has for human life and for a life lived under the shadow of the eternal is infectious and seductive. Love of the Creator is increased through the recognition of the multiple possibilities to experience His glory, filling the earth. The words of the prayer ‘Even if our mouth were as full of song as the sea, and our tongue as full of joyous song as its multitude of waves, and our lips as full of praise as the breadth of the heavens, [we still would not be able to fully thank Him]’ (from Shabbat prayers) receive new significance as a person is filled with admiration for the innumerable possibilities that the Creator planted in His creatures to know Him and to express their recognition of Him. At the same time, the sense of the limitations of religious language is intensified. Interreligious friendship is my existential predicament hence it is a life enriching process for me. Coming from Vrindavan, which came into being as a holiest of holy town of the Hindus in 1598 as a result of the friendship between my ancestors well known as the Six Goswamis and the Mughal Emperor Akbar. Interfaith encounter may prompt one to either reject or ignore the other or engage. The Goswamis and Mughals both engaged with each other and the results were amazingly beneficial to both and for the humanity at large. This friendship brought peace to the religio-political hotspot and thus economic prosperity flourished. Cultural and artistic activities got boost. Music, dance, theatre, literature, architecture, paintings–all got to a new height in their creativity. 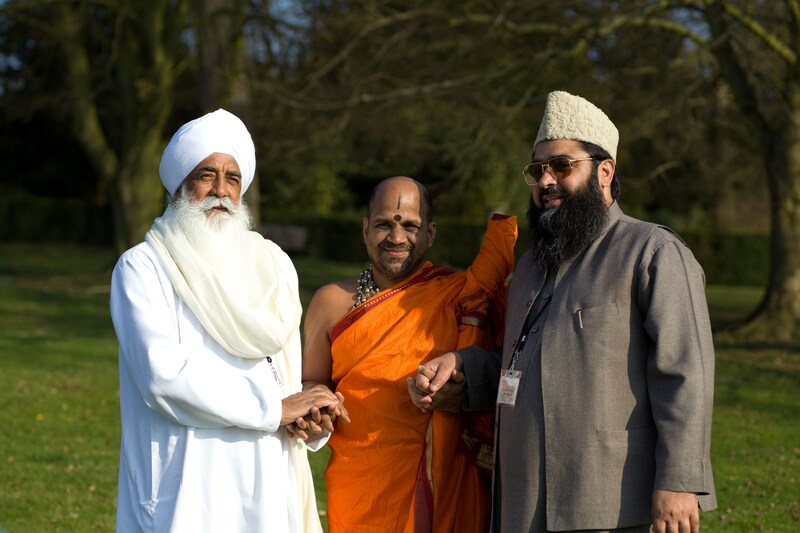 Thus interreligious friendship means peace and peace means prosperity and human good—all round. Professionally, as a priest I get my ritual utensils, thrones, dresses, ornaments and other things thanks to Muslim artisans. Locally the Muslims are cattle traders, hence our cattle, specially cows come from them. The Christian community, basically missionaries, offer education and healthcare to the Hindu majority. Vrindavan, thus, today survives on the practices of interreligious friendship. What I want to bring from Elijah to Vrindavan is more intensity to the friendship. For that (a.) I shall propose to the community more social interaction and (b.) formation of local interfaith committees (c.) which will be active for interfaith education in the lower schools, using Elijah tools. 1. What does interreligious friendship mean to me? Interreligious friendship is a gift of God given to two persons because it is God’s grace that has brought them together with mutual understanding and love. The friends begin to realize that they are walking together on a spiritual journey to the home of their ultimate destiny; they further understand that unless the Lord is with them to guide and inspire their journey they would go astray; they gradually feel a sense of brotherhood or sisterhood since we are children of the same Heavenly father. Mutual sharing, helping and thus enriching with spiritual goods – that will then naturally happen. 2. How can I practice it? I view my life as a garden irrigated by the grace and love of God and I love to see in any garden as many flowers as possible with beautiful colours. I consider a person of another religious tradition coming into my life as another beautiful flower blossoming in the garden of my life. I will try to invite the religious leaders of different traditions and establish friendly relations with them. I will then form a kind of stable group or association and start sharing understanding of scriptures, festivals, rituals, customs etc. We will also discuss ethical issues affecting the society in order to enlighten the public at large. When occasions arise we will raise our voice through the media condemning atrocities, violations of human rights, cases of injustice, corruption etc. I will accept invitation to attend the religious functions, weddings and other such events of other religious leaders. 3. What can I bring back to my community? – I will promote interreligious understanding to my priests, sisters, teachers and other educational laity. – I will try to convince my fellow bishops in my state to provide space in their schedule and meetings for religious fellowships. – I will explain about the good work being done by the Elijah Interfaith Institute and treat it as a source of inspiration for our interfaith programmes. – I will ask our faithful to pray for peace and harmony among religions and have a positive attitude towards other religions. 1. Interreligious friendship means to me to reach the heart of the communion with the creator: to achieve the noble duty, joining man and the above, faith and action. 2. I practice it through ensuring that in my ideas, in my thinking, in my actions and activities the other always will be present, the human being is at the centre. 3. I shall tell my community that over the world there are people working for friendship. That means doing what we are doing in applying ethics with the base of human beings as the centre of love, of actions.